Do your kids spend hours on video games and end up with magical thumbs? Then this is the perfect digi for them! High Score Hugh is only £1 in the store. You'll have to make up your own sound effects though! 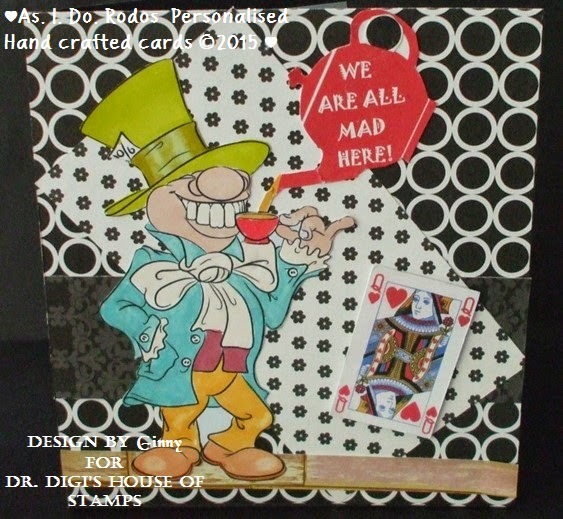 This is a new image from Dr. Digi's House of Stamps He is such a fun image to work with He would be suitable for any occasion and would cheer anyone up. Ta dah! 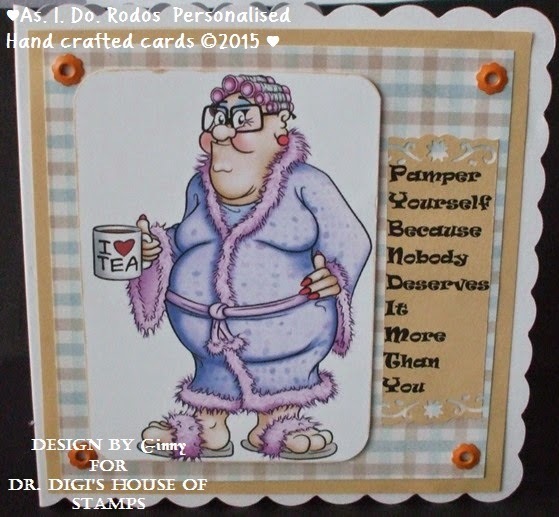 I finally got down to my craft room to work on this week's DT card for Dr Digi's House of Stamps. 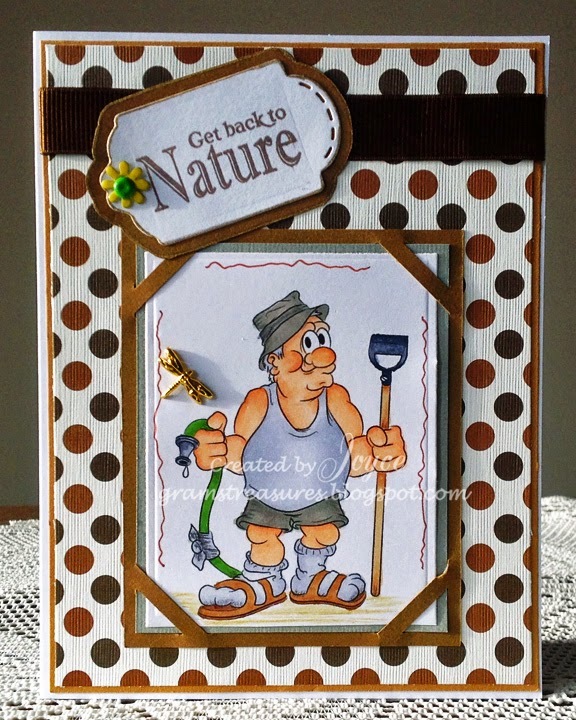 Today I've coloured up Gardening Gus with my copics. Quite fitting for the upcoming season, which will be here soon....hopefully. I could really use this guy's help at my house this year, so if you see him about, please give him the message! I look back in amazement at how I could go out gadding as a student, get back home in the wee small hours, having knocked back a fair few ciders, and still manage to be up for a 9 o'clock lecture! These days if I manage to get to 10.30pm I'm doing well and that's without alcohol! Derek enjoys his naps these days, one mid morning, one just after lunch and then bed with his bottle (hot water not beer) by 10pm! 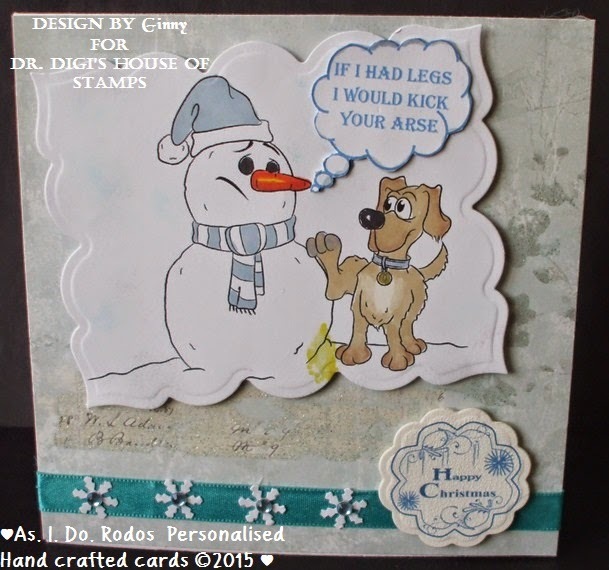 Sometimes you just need to say 'thank you' and who better to help than Flossie?! I did have to explain it though...... and the Italian reference is intentional! Who would want to be a snowman? All you assets frozen and with Tiddles the dog around not much fun! Here I am and tried to practice more witchcraft. That is why I took the image Wizz Doodles to get more power. At hte end I must say for me is it to difficult. So I have to make my cards myself and this is what I made. 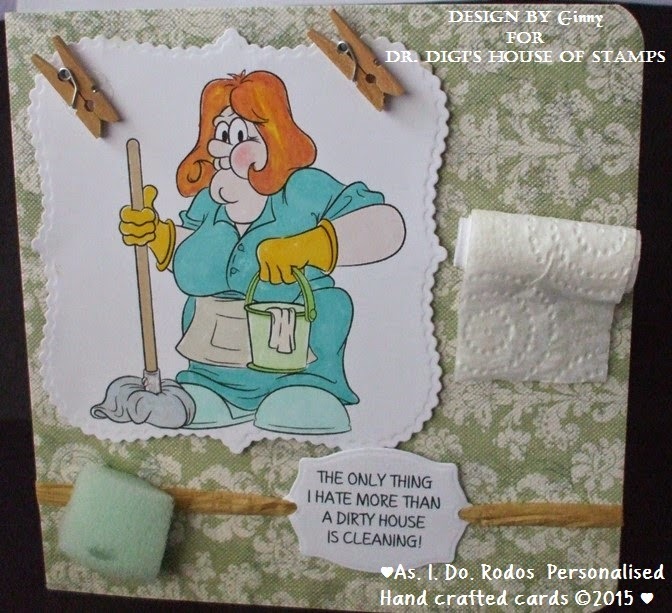 The image is called Wizz Doodles and can be found HERE. 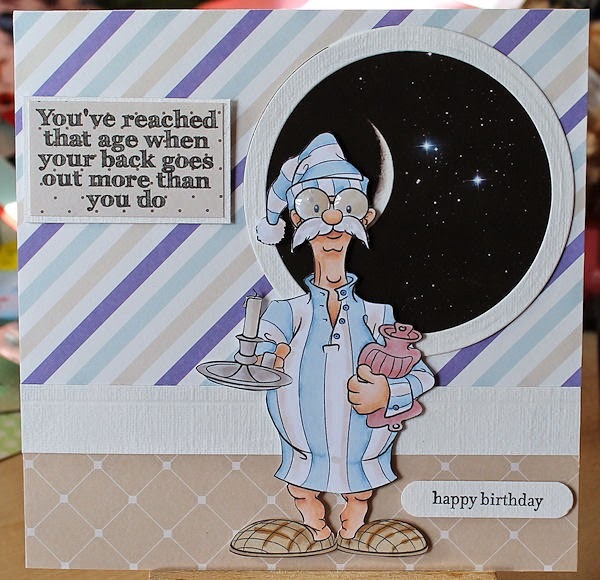 Would you like to know more about the card take a look HERE. Look at this handsome fellow, he's seen that the sun is starting to return to our skies and is anticipating the start of the barbeque season. Of course BBQ Dragon would be a boon at any party skirting round the whole issue of the coals being hot enough, chicken raw in the middle, he has perfect flame control! 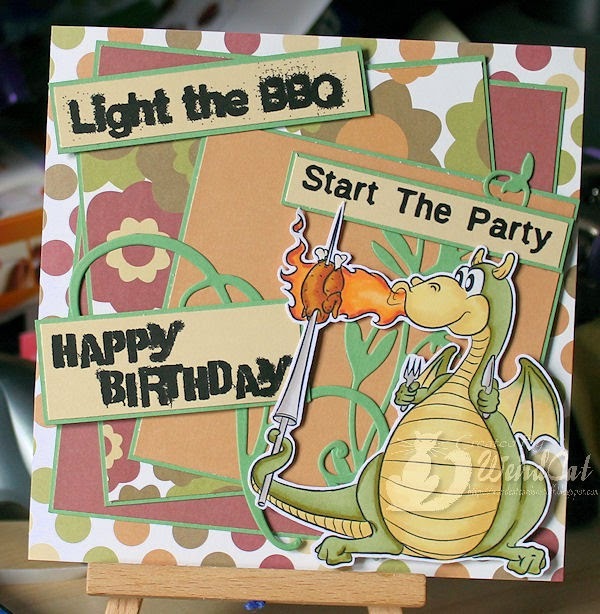 You can find BBQ Dragon HERE plus many more digistamps beside. First Place Phil (shown here in splendid glorious technicolour) wishes he was back in the day and racing with a Coventry Climax engine. However, Phil being Phil, he would have probably ended up with a racing fork-lift truck rather than a sleek purring machine! Spring clean Sonia is spending her day spring cleaning! Not one cobweb will be left when she has finished. Every corner will be ship shape, the windows cleaned floors scrubbed. 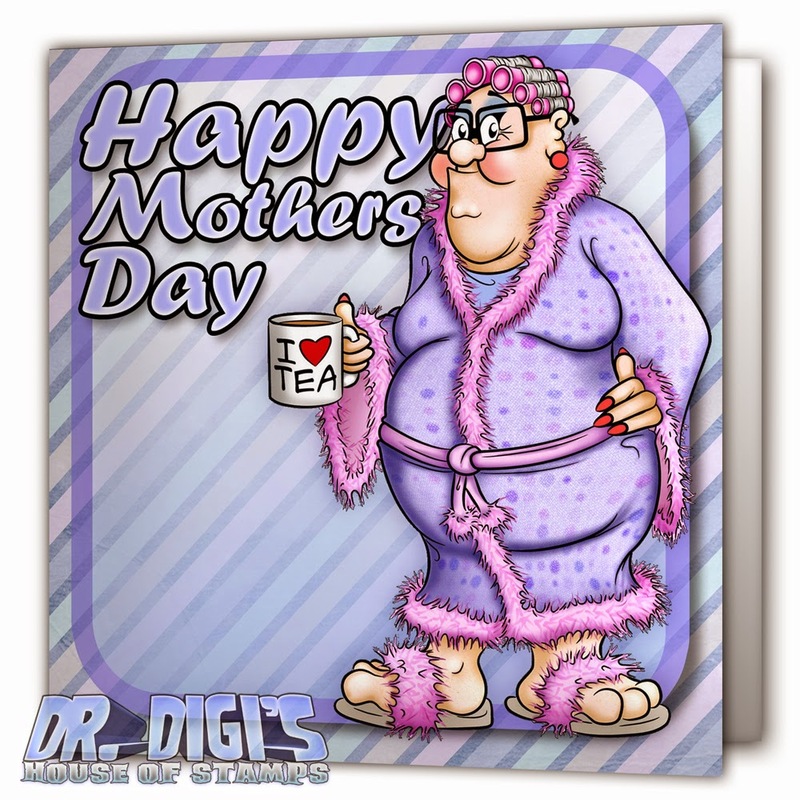 Here's a little something I knocked up for Mothers Day. 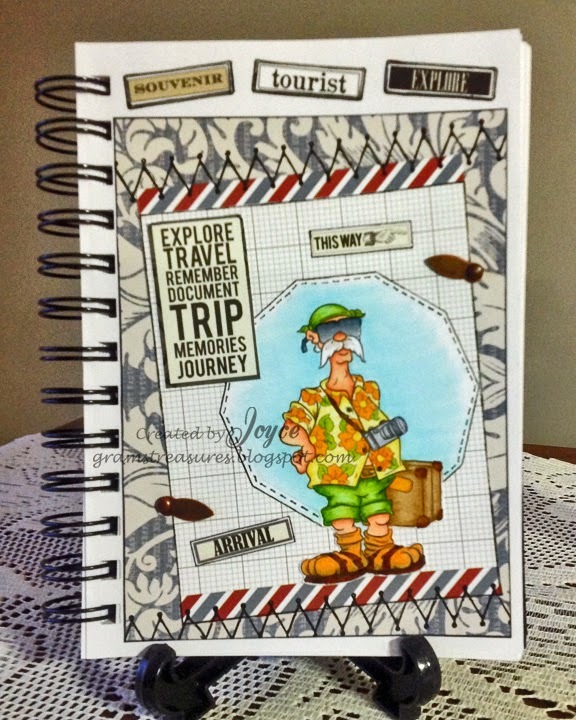 Another page for my travel journal....this time with the image A Dunderton Abroad, another fabulous image from Dr Digi's House of Stamps. This fellow sure knows how to travel light....just one small carry on bag, and he's ready to go on a moments notice. Can't forget the shades though, the better to watch all the eye candy on the beach, and to stay incognito! I remember in my teenage years, at the disco on the end of the pier, there used to be a bit of heavy metal playing every now and then. Of course, as a Duran Duran fan I ran to the bar to buy my soft drink (under 18's disco on a Monday night) and would never have dreamt of joining the head banging minions on the dance floor. A few years later (well maybe quite a lot of fews put together) I have soft spot for the old heavy metal bands and quite like some of their music, the music gets turned up loud and I sing along louder, but no head banging! 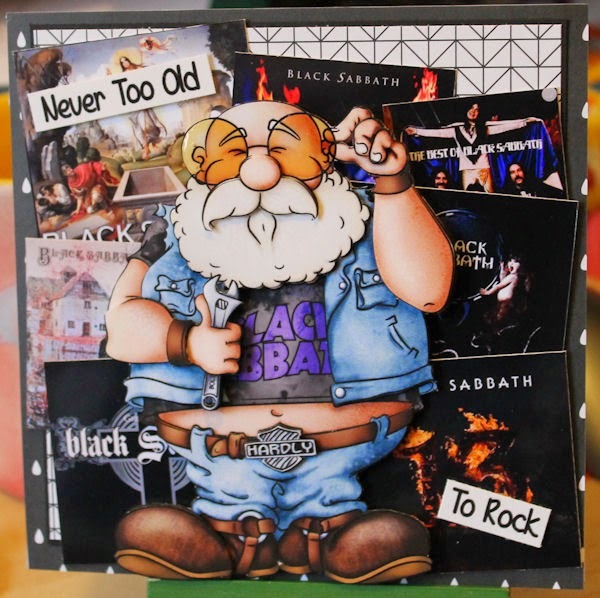 This just goes to prove that you are never to old to rock, even if the rocking bones might be a bit creaky! You can find Aubery Bumblethorpe (coloured) HERE and his black and white counterpart HERE. But I would certainly opt for a mauve rinse. Bath Time Deirdery is the store! 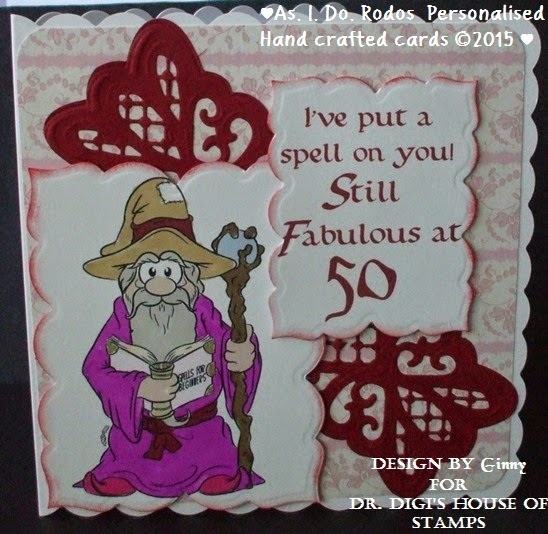 They say life begins at 40 but this wizard has cast a wonderful spell and made it 50! Spell for Beginners. 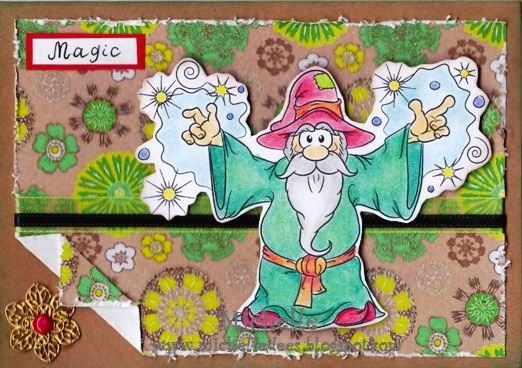 from Dr. Digi's House of Stamps is just brilliant to colour so much scope with a wizards you can go mad with any colour! 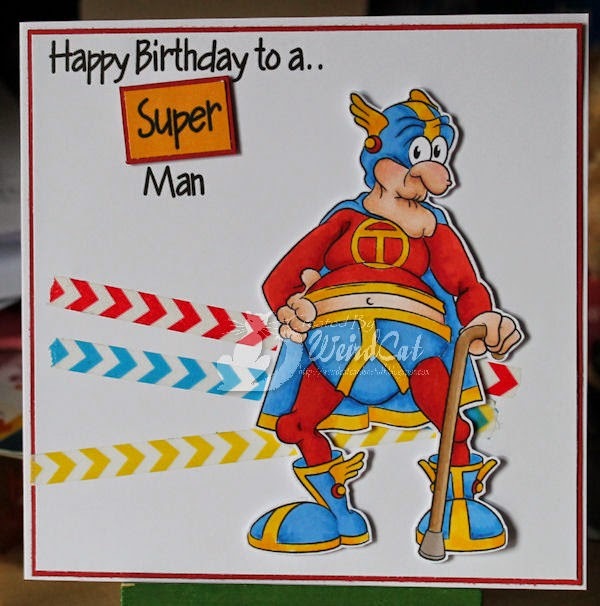 Everyone needs a 'Super' Man in their life, I have four, my Dad and my three sons, although my Dad is the only one close to resembling the sprightly fellow above! You can find Captain Thunderpants HERE and don't forget to check out the latest images. Hope you have a great weekend. Quite true really! At least it makes you temporarily forget just how many years! But then the morning hangover reminds you that you are no spring chicken! Sentiment is from the Birthday Sentiments sheet in the store. Weekend Wanda is spending the morning to pamper herself. Hubby Walter is taking her out for a slap up meal (Fish and chips and mushy peas)! !Having put her hair in rollers it’s time to sit and ponder with a cuppa.